Victory! The 2018-19 Delaney Athletic Conference Season is a Sweep for Seton Swimming! 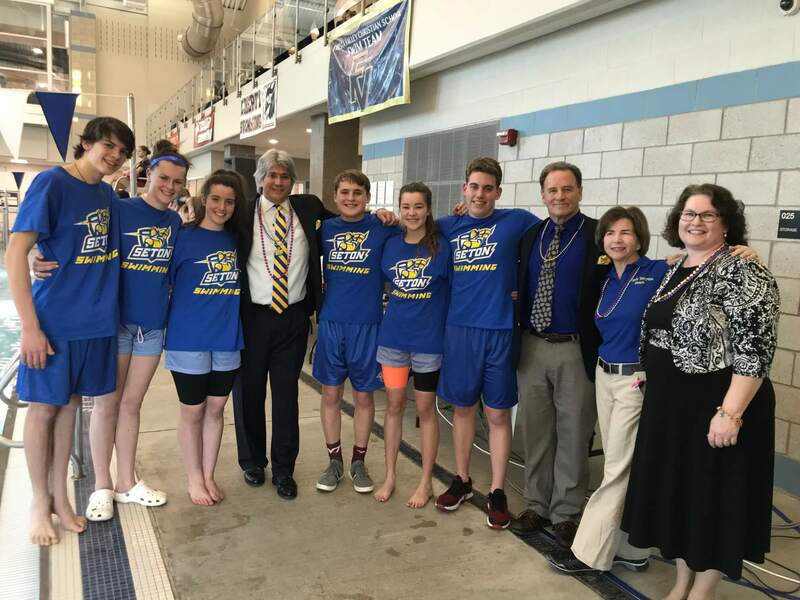 A hard-working group of girls and guys, student-athletes, undaunted by the call to wake-up before sunrise all winter long, claimed victory in the Delaney Athletic Conference for the 2018-2019 season. 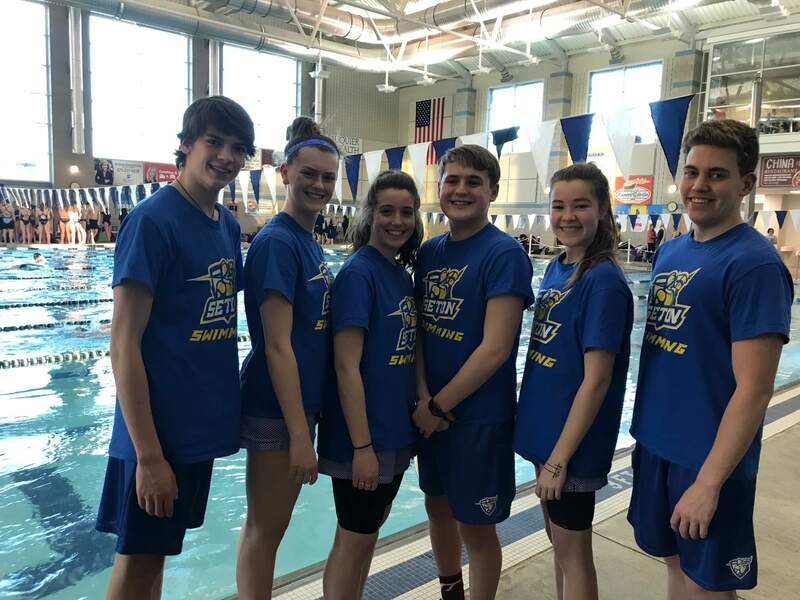 Seton Swimming Boys and Girls Swim Teams each won the Regular Season championship honors as well as the DAC Championship Meet on Saturday at the WARF in Warrenton. This is the 25th straight for the girls! It is the 22nd time out of the last 25 seasons for the boys. 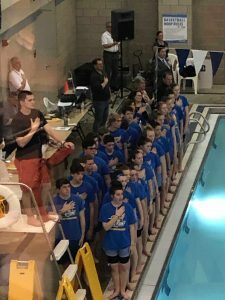 At the WARF Saturday night, the girls team beat its closest competitor, Trinity Christian School (TCS) , 310 – 284, and the boys team beat TCS, 287 – 210. 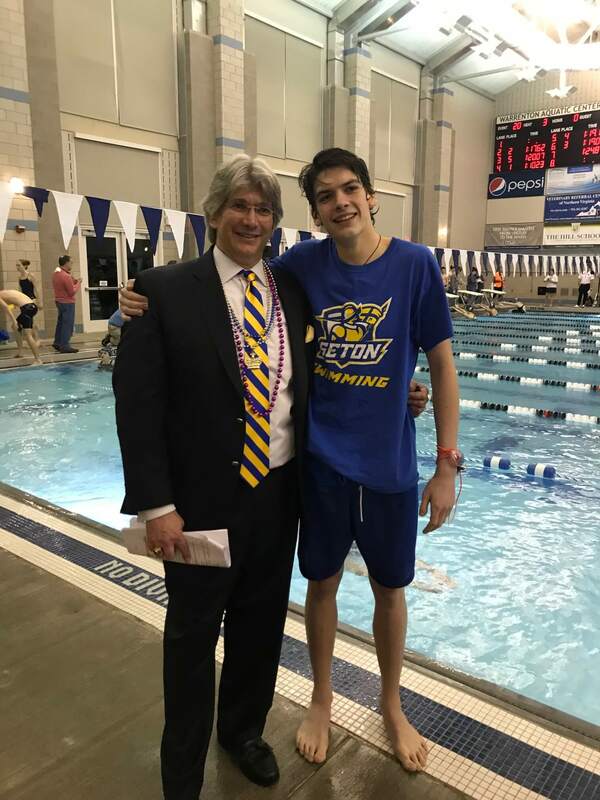 Gratitude abounds for the heart and hard work of Seton Head Coach, Jim Koehr, the Boys and Girls teams DAC Coach of the Year! The season finale comes Friday and Saturday Feb 15-16 in Stafford Virginia for the VISSA State Championship meet.